Living alone is not uncommon for older adults. The U.S. Census Bureau has found that of the 11 million people living alone in the United States, 28 percent of them are 65 years old or older. And, the likelihood of living alone only increases with age. This is not to say that living alone in itself causes social isolation — people who have active social lives often do perfectly fine living on their own — but it is a major precursor for it. Other factors that contribute to social isolation include retiring from work, the loss of loved ones and even a lack of transportation or mobility. Social isolation is more dangerous than you may think. In order to keep your brain sharp, you need to use it frequently, and when you’re home alone all day every day, not talking to anyone or keeping your brain active, it can lead to cognitive decline. In fact, a neuroscientist from the University of Chicago, Dr. Jon Cacioppo, found that faster cognitive decline and poor cognitive performance are linked to feelings of loneliness. According to the National Center on Elder Abuse, there have been many studies linking higher rates of elder abuse with instances of social isolation. 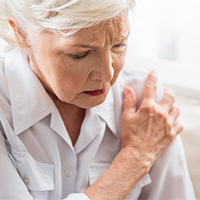 Though, researchers are uncertain as to whether this increased vulnerability to elder abuse is because isolated seniors are more likely to fall victim to it or if the abusers intentionally isolate the seniors in order to reduce the risk that they will be discovered, but regardless, the increased vulnerability to abuse is concerning among isolated older adults. Loneliness is a common and major factor in the development of depression, and symptoms only increase with age. Older adults who live on their own and are socially isolated are more likely to have a pessimistic view of the world and their quality of life, and they also experience higher rates of depression. People who are socially isolated tend to give up healthy habits in favor of unhealthy habits, like eating the wrong kind of diet, skipping physical activity, not getting enough sleep, etc. Each and every one of these bad habits can lead to health complications down the road that threaten independence and can lead to even more social isolation. Older people who are socially isolated have a far greater risk of needing long-term care down the road than people who lead active social lives. According to the British Columbia Ministry of Health, both loneliness and social isolation are major predictors of the need for seniors to utilize in-home care, as well as skilled nursing care. How can you tell if someone you love is socially isolated? Sleep Trouble – Social isolation can disrupt sleep, so if you notice that your loved one is yawning more than usual, or they complain about being sleepy frequently, find out how they are using their time. Changes in Spending Habits – Often times, when people become socially isolated, they’ll attempt to fill in the social holes in their lives by buying things. Decrease in Appetite – It’s quite normal for your appetite to diminish somewhat as you age, but if it is decreased dramatically, it could be a sign of social isolation. Increase in Baths, Showers or Time Spent Under the Covers – Studies have shown a connection between physical warmth and social connections, and believe it or not, some people who feel socially isolated will attempt to compensate for it through physical warmth. Change in Call Frequency – If your once-a-week phone date has turned into a five-day-a-week phone date or an every-two-week phone date, it’s cause for concern. While an increase in the frequency of calls may be an obvious sign of social isolation or loneliness, a decrease in frequency is a not-so-obvious sign of the problem. What can be done about social isolation? Social isolation is a much more serious and complicated problem than many people think, but the good news is that it has a fairly simple solution — companionship! Companionship provides older people with someone to talk to and share their lives with, which is something all humans need, regardless of age. But, for people struggling with social isolation, a phone call or a visit every so often is not enough, and busy friends and family often can’t commit the necessary amount of time to truly address the problem. So, how can you help to prevent and treat social isolation without having to push the pause button on your own life? In-home care is a valuable resource for many older adults, particularly for those who do not relish the idea of moving out of their home and into a facility. Home care aids — otherwise called companions — can help with activities of daily living (bathing, dressing, etc. ), transportation, housework, cooking and even medication management in some cases, but the real value of in-home care is in the companionship it provides. With many other senior care options, time spent one-on-one with residents is limited, but with in-home care, you have an aide dedicated solely to your care, which leads to deeper connections and better relationships. Enrolling your loved in an ADHC program is a great option when you start noticing the signs of social isolation. These options provide older people with a place to go during the day, where they can make friends and engage in a variety of activities, from playing games to arts and crafts. These programs can help people who don’t require the 24-hour care provided by nursing homes and assisted living facilities enjoy more socialization in their day-to-day lives. Although assisted living facilities are amazing in terms of the socialization and activity they provide, not everyone needs the level of care that they provide. Retirement communities are the perfect option for those looking to enjoy all of the community aspects of assisted living, without the high level of care. If your loved one requires help with activities of daily living, medication management and other non-medical needs, and you’re looking for a senior care option that can also help to provide them with the companionship they need, assisted living communities are a great choice. Assisted livings offer all kinds of activities, from bridge games and movie nights to live performances and fun outings, giving your loved one the perfect opportunity to make friends and stay social. Take a class at the local recreational center. Make weekly dates with friends. Set up a game night. 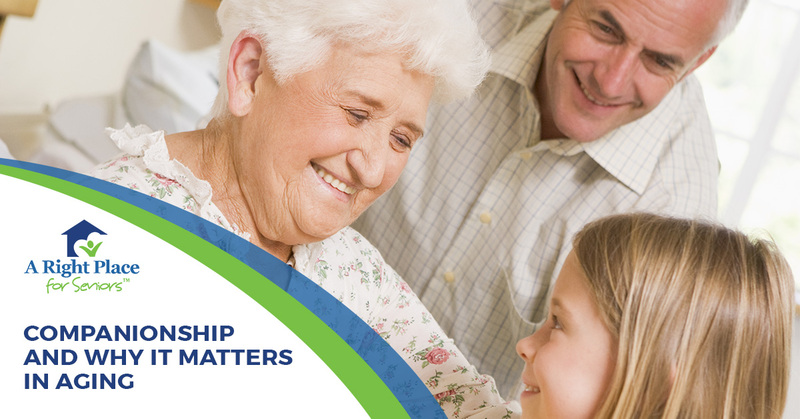 Let us help you find the right senior care option for your loved one’s needs. Social isolation is a very real problem with very real consequences, and if you think that your loved one might be suffering from it, it’s time to take steps toward finding the solution. If you think that your loved one might benefit from senior care, such as an ADHC program, in-home care, assisted living or even a retirement community, we can help you find the right option for their needs. Our team of Senior Living Consultants is dedicated to providing you with the guidance and support you need throughout the process, and our senior placement services are available at no cost to you! Contact us today to get started.